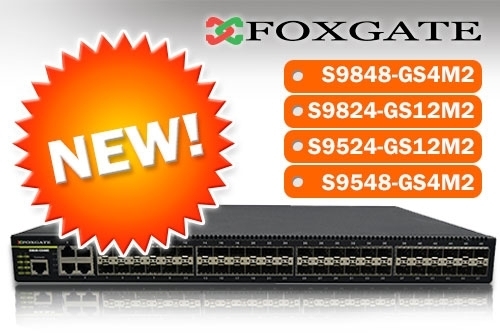 New generation of high performance managed switches FoxGate models S9524-GS12M2, S9824-GS12M2, S9848-GS4M2 are on sale now. Switches are of OSI network model, have IPv6 network support and have been certified by IPv6 PhaseII. Switches are designed for use in the core network of Internet service providers, large , small and medium enterprises ,in data centers, also in MPLS networks at aggregation level.